Do you have an online business that you are, currently running? How much time do you spend to run the business and do the work that a webmaster needs to do? A good number of business owners are clouded by the daily tasks that a webmaster virtual assistant needs to sort out. As a result, they shift from their core business and end up not making enough money. With an appropriate VA, you should be able to pay attention to things that earn you money directly. A virtual assistant is one who offers technical and administrative services in a professional manner. The term virtual means that they will work remotely and as such, they can be in any part of the globe and still work to make your online business profitable. We are the best team of experts and we are happy to offer virtual assistant packages to different clients. To be able to enhance productivity and become more efficient, you will need to have a virtual assistant. 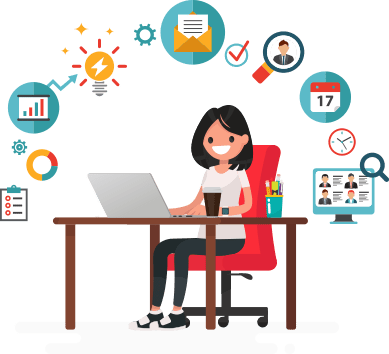 They are highly skilled & professionals who can tackle administrative tasks, sales promotions, emails and other tasks that are essential to your business. We have skilled professionals virtual assistant SEO experts at The SEO Adviser. 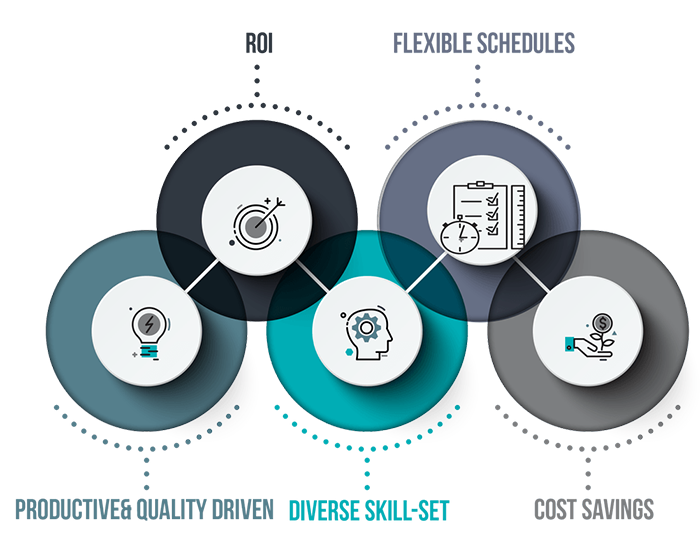 Our communications skills, vast knowledge of search engine optimization, advanced backlink planning & promotion, WordPress Full Setup and Customization, Website Speed Up, Hosting Setup & SSL Integration, SEO Project Management and any types of Technical SEO Problems & solution. We will help you become more organized and efficient in running your business. The biggest advantage of using any of our virtual assistant packages is the fact you no longer have to worry about the daily support and maintenance of your website. This leaves you with more time to be able to pursue more opportunities and expand your business horizons. You will also find skilled experts who will give you exemplary proficiency and you can be sure that your business will be boosted. The services will be availed for hourly, weekly or monthly basis. Find out more and get started now. What do you charge for your services or products that you offer? I am sure it is more than $8 to $10 per hour, right? Most people make way more than this and the good news is that this is what it will actually cost you to have an SEO virtual assistant or technical expert. This gives you access to a qualified expert, who is available round the clock. All critical tasks are executed efficiently and professionally. How much does it cost you to keep up with the technical support tasks for your website? In most cases, it will cost your time, opportunities and money. However, with the option of the virtual assistant, you can get more full time and redirect your time and energy to your core business. Full time, 40 hours a week, for 5 days. Part time 20 hour per week, for 5 days. The webmaster VA is at your disposal and you do not have to worry about health plans, payroll and other issues that relate to in-house employees. We offer you an hourly basis or 40 hours per week, for all the 52 weeks in a year, to be able to grow your business. This will help you keep up with market trends much faster and swiftly. Contact us now and speed up your business growth with our virtual teams! 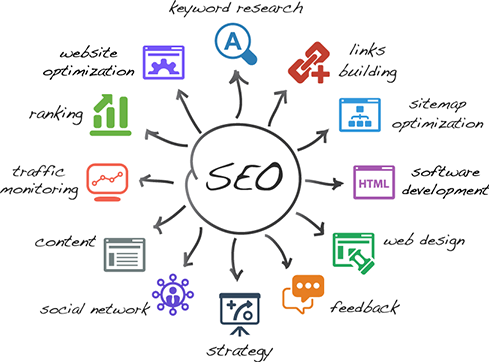 Our virtual assistant SEO services are designed in such a manner that we can offer full life-cycle for your business. You have the liberty to configure the virtual team so as to have your needs addressed in the best way possible. Imagine getting 40 hours per week of a wide range of skills, including Project management, SEO services, advanced backlink planning & promotion, WordPress Full Setup and Customization, Website Speed Up, Hosting Setup & SSL Integration, analytics and any types of Technical SEO Problems & solution. We will take all measures to ensure that your website speed is appropriate. We have the right tools to boost the speed of your site, which leads to higher conversions. You will have a fully functional WordPress site that is working and supporting your online business. We handle all configurations and set ups of the sites. We have recommendations for the best hosting options. We will also install SSL certificates and integrate them with your website such that you will have a modern and website. Take advantage of our webmaster virtual tools that allow you to make use of using analytics. We will set up and integrate all the tools that will optimize your site. To run marketing campaigns and promotions effectively, we will set up Google AdSense and integrate them into your website, professionally. This will push your brand to the target audiences, effectively. We will check every aspect of your business in relation to SEO strategies and advise you on what is working and what’s not. We have suggestions on how to improve your overall site. Some of the websites are not working to the advantage of the business. We will carry out a full SEO checkup so as to help in improving your SEO rankings. We will not allow poor backlinks to end up to your site, as we check them and advise accordingly. We only recommend backlinks from pages with a high domain authority. You no longer have to struggle with removing bad and spam links. We have the right solutions and this becomes our problem henceforth. Our virtual teams take up the process of analyzing your website in relation to factors that influence search engine algorithms. We will give a detailed report and recommendations. We help you to ensure that your backlinks are indexing faster of Google. This is a great way to improve your web presence. With the regular updates of SEO plugin, you may be left behind, but our VA team will help you with the setup and integration of the plugins that are relevant to your business. Get the latest suggestions to help improve website ranking. We offer comprehensive plans and also tips on improving the existing plants. When the server is not working, then the entire site is affected. It will be upon the virtual assistant SEO to maintain the web server. We have experience in picking high quality backlinks to your site. We will execute this and in just a short while, you will have high quality backlinks streaming to your site. With the deep understanding of technical issues, we will carry out all maintenance and updates for your website. This is to ensure that your site is performing optimally. Allow us to check and even generate quality content, which can be used for marketing. We will also take up the publishing tasks, leaving you with only the role of checking daily reports. Management of SEO projects is a task that we can comprehensively offer. We can manage the project end to end and give you satisfying results. You can pick the SEO packages that you would wish to get on a monthly basis. We have experts in different aspects of SEO and work as part of the webmaster virtual teams. Our virtual assistant USA teams will do a niche keyword research. We will pick the right keywords to optimize for your business and give you great results. Do you need some work for a few hours? This is the right package for you and we will tailor it to suit your needs. Basically, we offer 2 to 3 hours per day but It’s Depend on what types of works load have. For longer projects and tasks, the monthly VA would be the right package. This is offered fulltime for up to 40 hours per week. You can plan the task monthly basis but we execute its’ week to week basis and step by step. Our free service means that we will give 1 hour of free of charge, before you can hire our VA for monthly or hourly work. This is one of ways to ensure that you have a feel of what we offer. This for one client and it is once only. What’s the Process of VA monthly Payment? The payment model for the VA monthly package is done weekly and this is in advance. How many hours will be available every day? Typically, this depends on the amount of work that is available. On average we offer 2 to 3 hours, every day. Is my website and other information protected? Yes, when you hire us, all your information and website is fully protected. The SEO Adviser is a reputable company and takes all measures to protect your information. How you Record the Hourly Basis Package? How do I contact the VA on daily basis? Once you have hired a virtual assistant, we will create a Client Dashboard and this give you an option for live chat. This allows you to contact the VA and even share information and documents. Do you provide any necessary SEO Tools? If the type of work we are handling needs some SEO Tools, we will certainly provide them, without a problem. let us know the specific services that you need. We will allocate the dedicated team of webmaster SEO virtual assistants. Our ‘Talk to the Boss’ service is exclusive and we will provide the contact details. This ensures that you get top-notch services and prompt response. Our customer support team will give you regular updates on the tasks.